This Pole and Stake Set for High Peak Tension Tents by Mystique provides an excellent support system when it comes time to replace your poles and stakes for your 30 x 70 tension tent. Constructed with galvanized steel poles and triple reinforced stress points for durability and strength, these poles and stakes are made with custom high peak engineering. 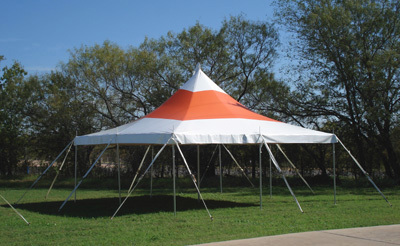 Ohenry Tents provide a 1 year manufacturer's warranty on the Mystique high peak tension pole and stake set.